As some of my regular readers might know, I am not especially fond of Chenin Blanc. Indeed much of the time I choose not to drink it. However recently I re-tried a Chenin Blanc from one of my favourite South African producers – Kleine Zalze. Kleine Zalze is an old established, family owned winery in Stellenbosch, just a couple of kilometres southwest of the town in fact. 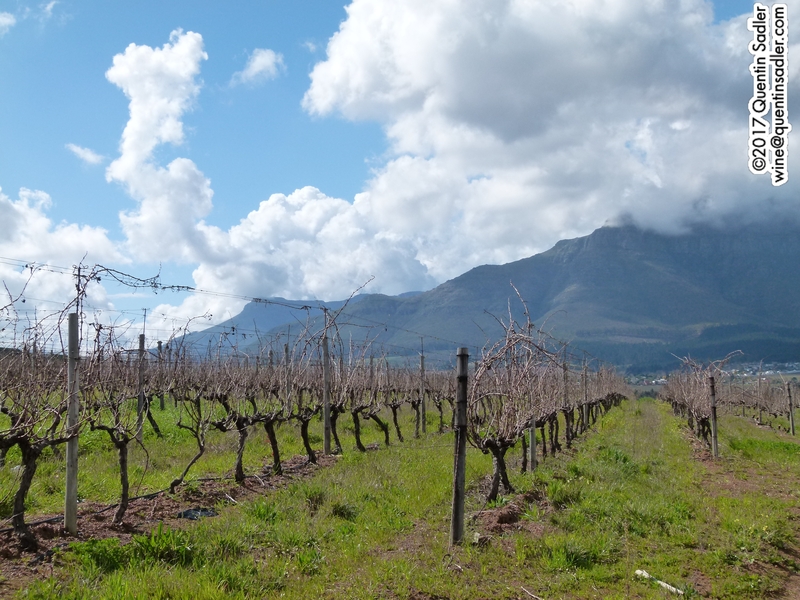 This is an incredibly beautiful wine region and the traditional hub of the South African wine industry. 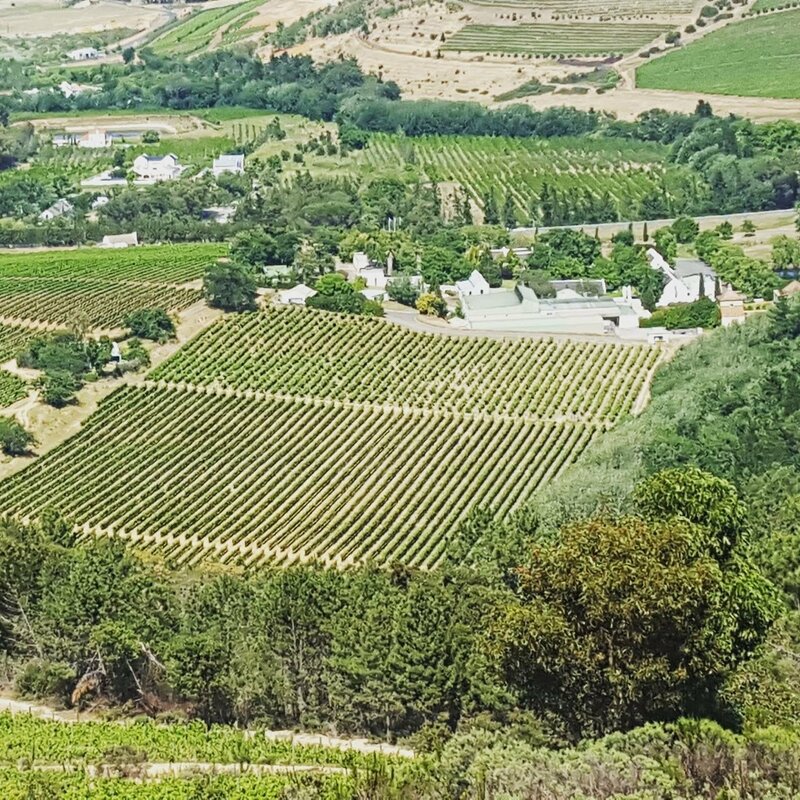 The first Europeans to settle the Cape were the Dutch – the British took the colony over during the Napoleonic Wars – and a lot of Protestant French Huguenots washed up in South Africa where they helped develop the wine industry that had been started by Simon van der Stel. Deer Steel was the first Dutch governor and Stellenbosch, as well as nearby Simonstown, are named after him. Kleine Salze was founded in 1695, so dates from these early days of South African wine. 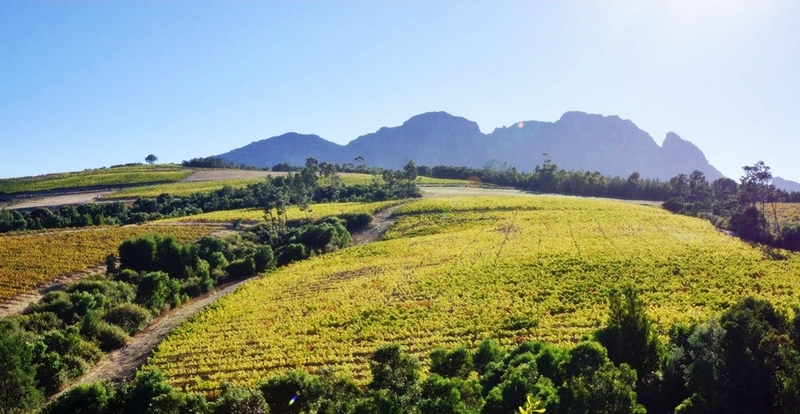 However it really received a new impetus to produce high quality wines when businessman Kobus Basson and his family bought the estate in 1996. I have known the wines ever since then and have visited a couple of times and they are a very impressive outfit that turns out some brilliant wines from a wide range of grape varieties and blends. In my opinion their top range Family Reserve Pinotage is one of the very best examples of the grape, but I think that everything they make is really good – have a look at this wine. Anyway recently I had a bottle of their Zalze Old Vine Chenin Blanc and it was so delicious that I have made it my Wine of the Week. The Zalze range from Kleine Zalze are akin to entry level wines, but they are very high quality and this wine really proves that point. It is made from old bush vines that are dry farmed, so not irrigated. Old vines produce smaller crops of more concentrated fruit, which is why old vine wines are usually considered to be that bit finer. Most of the fruit comes from the Kleine Zalze estate in Stellenbosch, but some is sourced from other places like Swartland, which is why the wine is described as coming from Wine of Origin / WO Coastal Region and not Stellenbosch. The fruit was hand harvested in the early hours to keep the fresh acidity. The grapes got a bit of skin contact to add texture and complexity and after the fermentation the wine was aged on the lees for four months, which also added complexity. The wine is fresh and lively, but with a lovely soft, round and ever so slightly creamy quality. The natural high acid of the grape shows through, while the Mediterranean climate of the Cape adds the richness and softness that makes it so succulent and moreish – be warned the bottles empty very fast. Bright, crisp lemon and lime citrus give a lovely refreshing quality. That freshness wraps around rich tropical guava and pineapple fruit and there is a touch of stony minerality that gives the wine focus and poise. This is not complex wine, but it is very, very drinkable, delivers great value for money and is really versatile too. 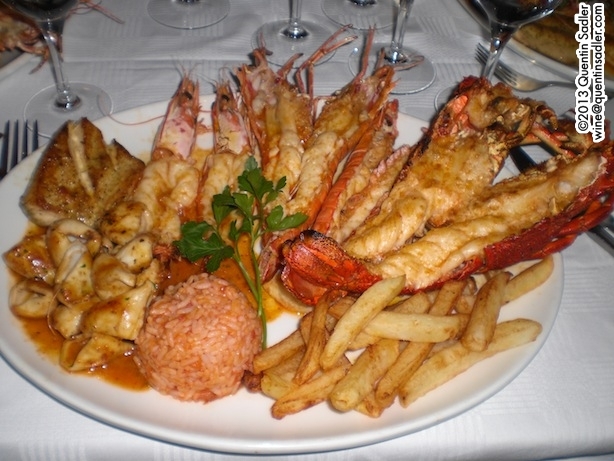 It goes well with almost anything, from the simplest fish and chips to salads, Mediterranean style food and spicy oriental dishes. I think it’s really delicious and will make a perfect house wine for the summer – 88/100 points. 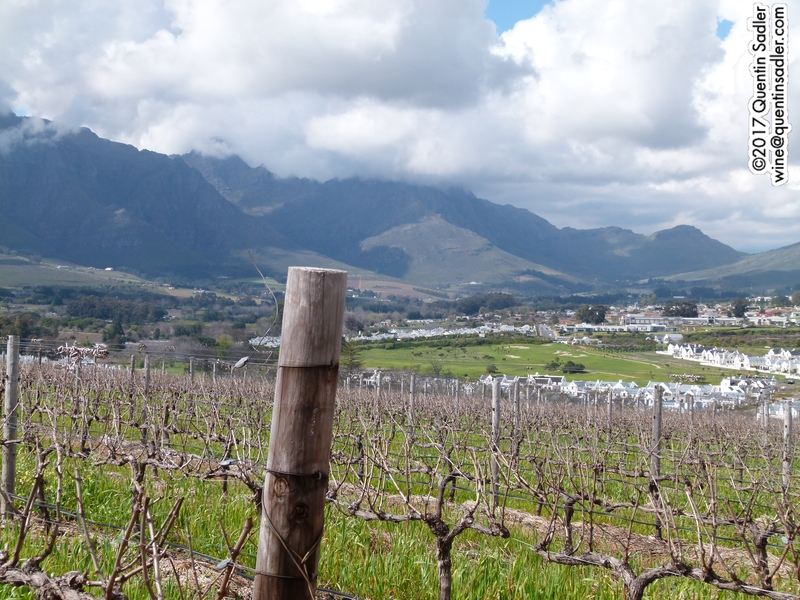 I would also mention that Stellenbosch is a wonderful place to visit. In fact from a wine point of view South Africa’s Western Cape is one of the best places to see, as everything is so compact and the wineries are really well set up for tourism. 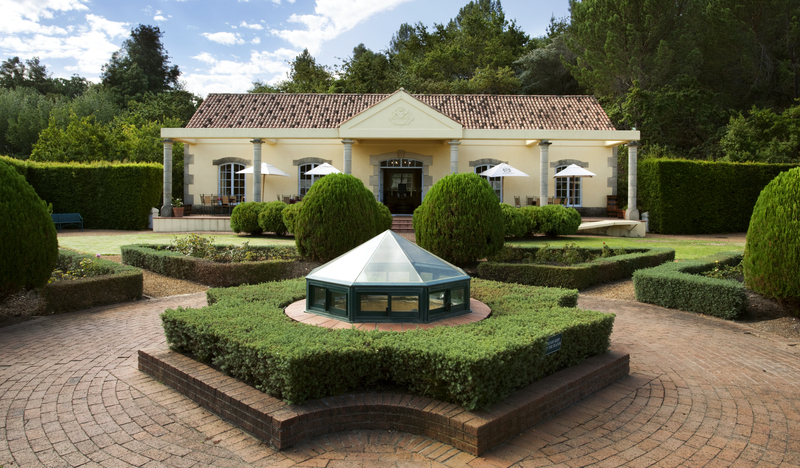 As well as being a great winery to visit to taste the wines, Kleine Zalze is home to the wonderful Terroir restaurant. Waitrose Cellar, Morrisons, Asda Wine Shop, Tesco, Booths. Recently I tasted the new vintage of a wine that I have enjoyed for many years and it was so drinkable that I have made it my new Wine of the Week. The wine comes from Kleine Zalze, which is a beautiful estate in Stellenbosch, South Africa. Indeed it’s one of my favourite South African producers, and – like the country as a whole – their wines just seem to get better and better. What’s more, this is true whether the wines are at the lower end of their range like this delicious Sangiovese, or more upmarket examples like their stunning Family Reserve Cabernet Sauvignon, Family Reserve Shiraz, Family Reserve Pinotage – one of the very best examples of this difficult grape that I have ever tasted – and the wonderful Family Reserve Sauvignon Blanc. 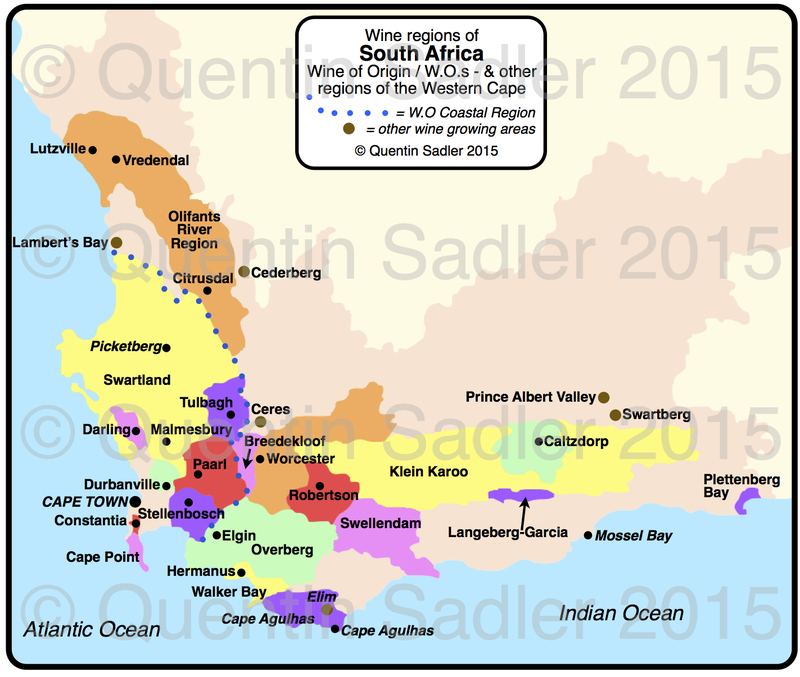 Wine map of South Africa – click for a larger view – non watermarked PDF versions are available by agreement. The wine is an intriguing blend of Shiraz (Syah) with Mourvèdre and a little Viognier to add aromatics and complexity. 80% is Shiraz from Kleine Zalze’s own vineyards in Stellenbosch together with 15% Mourvèdre from the cooler Durbanville area and then 5% Viognier from Tulbagh in the mountains. They were fermented separately, Kleine Zalze mainly use wild yeasts for this, the 2 reds in stainless steel and the Vignier on 4th fill barrels, this old wood ensures the oak influence is very subtle. All 3 components are aged in 3rd and 4th fill barrels for 14 months before being blended together. The aroma gives lifted notes of ripe blackberry, raspberry and peach with a little touch of freshly turned earth and truffle (very Mourvèdre), spice and even some chocolate, espresso and cigar. The palate is richly fruity and succulent with deliciously juicy ripe blackberry, black cherry, redcurrant and even some plum and some lovely savoury herbs like the French garrigue. The tannins are sweet, ripe and smooth, the oak lends some nice spice and a touch of mocha, whole a touch of refreshing acidity balances it all nicely. I really enjoyed this, it is very drinkable, beautifully made and not dull. There is enough complexity to make it interesting and the blend brings a freshness that Shiraz on its own seldom delivers. Really attractive wine that goes with all sorts of things including barbecue, pizza and pasta, be warned though, it is moreish – 87/100 points. Available in the UK for £8.29 a bottle from Waitrose and Ocado – £5.99 a bottle from Waitrose if you get in quick and £6.21 from Ocado if you grab it by 12/-05/15! If you have let South African wines pass you by, then this might be a very good starting point, enjoyable to drink and great value to boot.